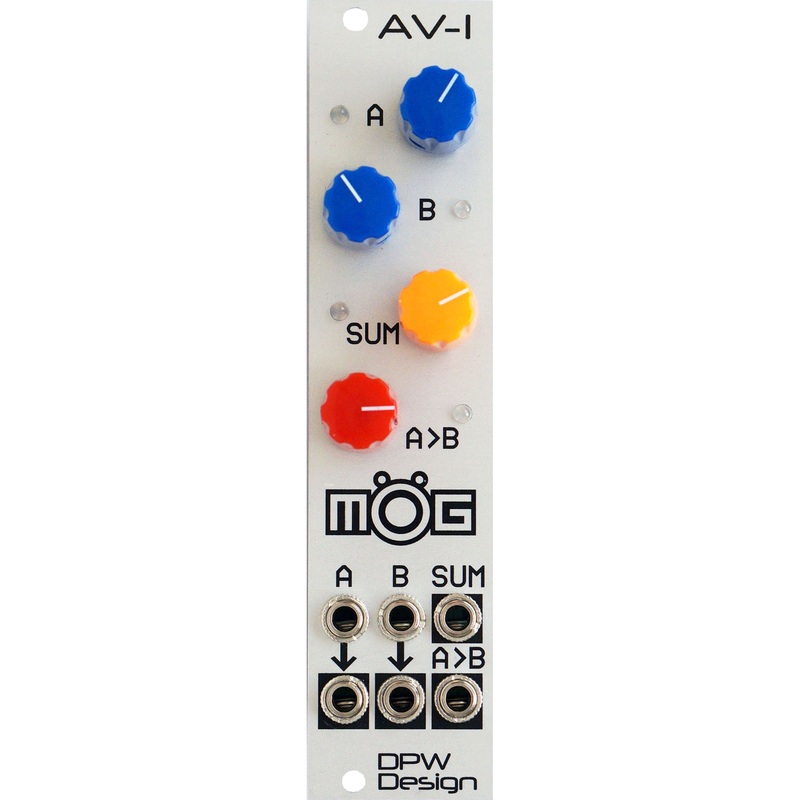 AV-1 is a Eurorack format dual attenuverter with some extra functions. It can be used as a utility unit for control voltages or as a audio unit. 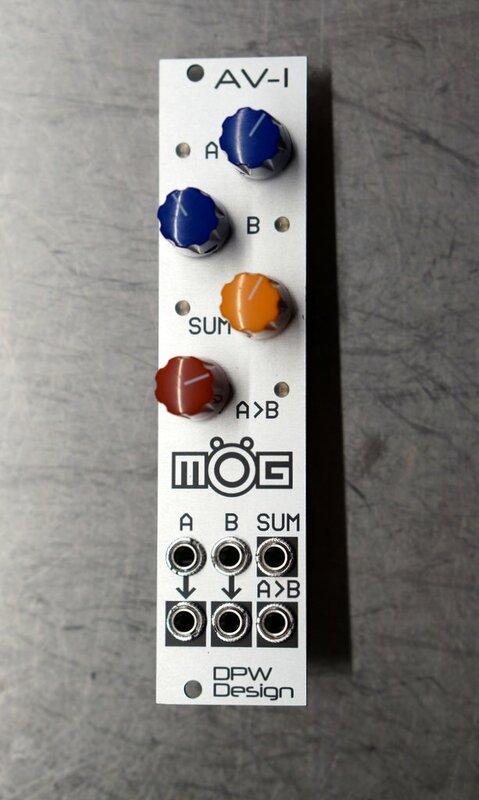 It has besides the ovious two attenuverter in and outputs a suming output with an attenuverter to get more complex signals. This sums the signals after the A and B attenuverters. 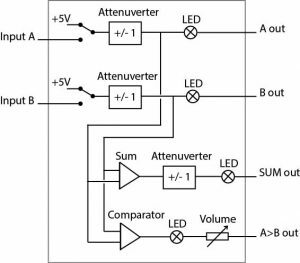 When nothing is connected to A or B you can set the output to +/- 5V DC. 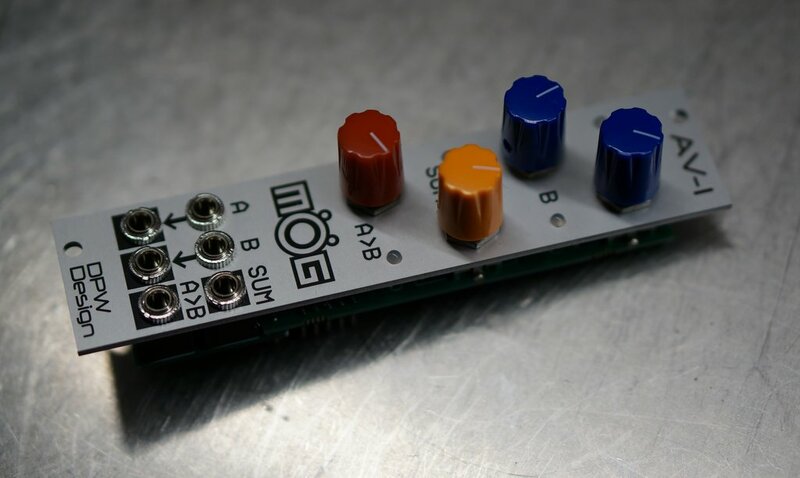 This way you could run an LFO trough A, use B as a voltage offset and get the sum out on SUM. The A>B output is +/- 5V and a bit wave shaped so the square wave out should sound good if used for audio. 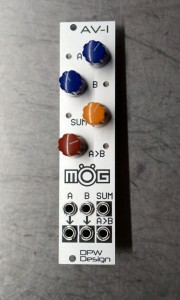 The unit is 6hp wide and 25 mm deep including power connector. You can download the AV-1 Manual here.